Sarah Crowner creates her paintings by sewing together angular pieces of painted canvas. 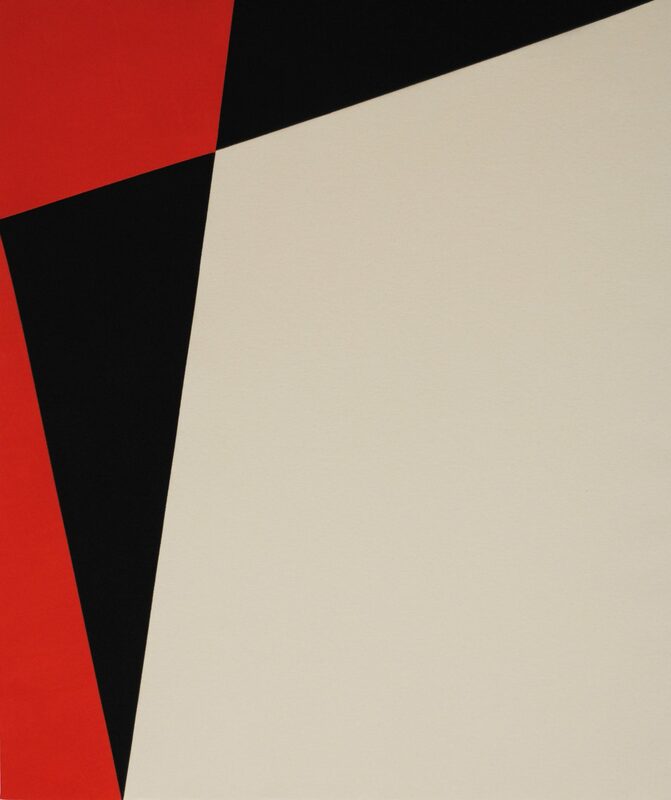 The geometric compositions evoke the style of Hard-Edge paintings of the 1950s and 1960s. However, the visible seams that result from Crowner’s process complicate pristine surfaces by evoking the tactile qualities of patchwork. With its associations of domestic labor, the act of sewing also confronts the high seriousness of abstract painting with the unpretentious tradition of craft. Sarah Crowner lives and works in Brooklyn. Her work has been the subject of solo exhibitions internationally. Notable group exhibitions of include Experienz #2, WEILS, Contemporary Art Center, Brussels; Abstract Generation: Now in Print, Museum of Modern Art, New York; Painter Painter, Walker Art Center, Minneapolis; and the 2010 Whitney Biennial.